A celebratory toast to a new acquisition, an evening of entertaining a key client, an important industry function-whatever the occasion, business dressing takes on heightened importance at formal events. 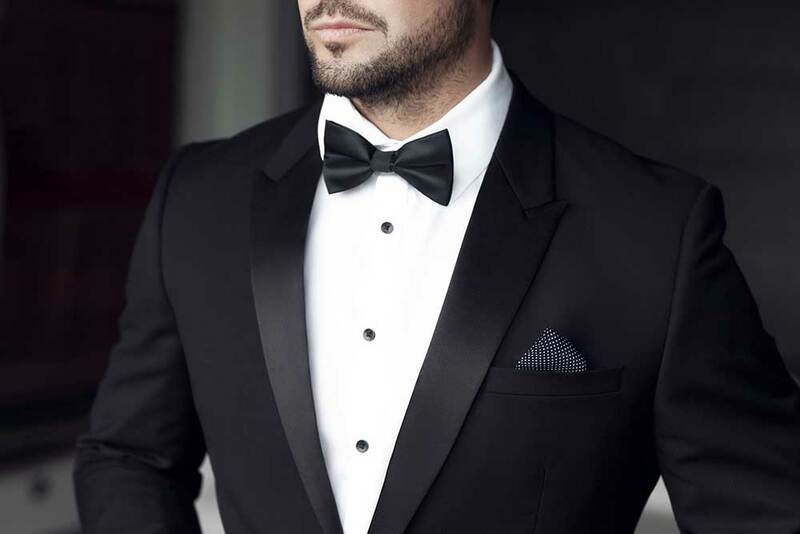 Classic designs, excellent quality and, of course, the distinctive Miguel's name in custom tuxedos and formal evening wear assure the business professional that he will feel as confident in the ballroom as he does in the boardroom. From sophisticated custom tailored tuxedos and tuxedo shirts to traditional dress watches and fine silk scarves, every element of Miguel's formal wear complements this prestigious universe. Sleek, masculine cufflinks range from playful designs to a more formal look in jet onyx. Bow ties and cummerbunds in pure silk complete Miguel's formal evening wear wardrobe and add the finishing touches of formal elegance.